Clerks on clerking: Does a chamber need a majority to be effective? 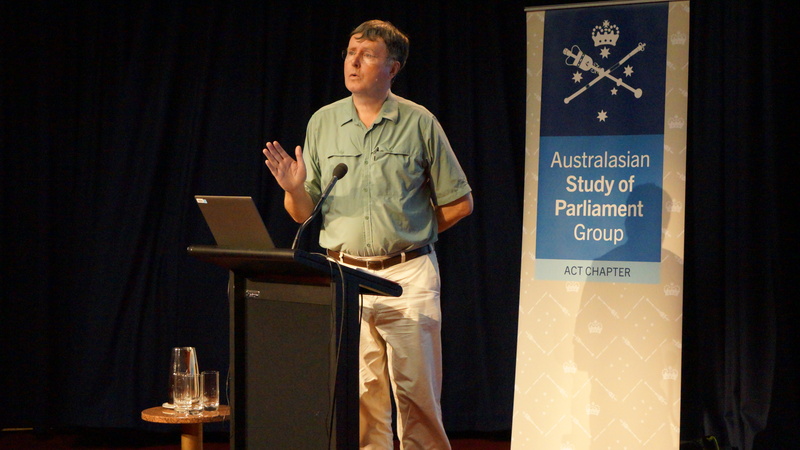 In March 2016, the ACT Chapter of the ASPG hosted Patrick Dunleavy at Australian Parliament House to give a presentation on recent developments in the House of Commons associated with the introduction of “English votes for English laws” or “EVEL”. Patrick is Professor of Political Science at the London School of Economics and Centenary Research Professor at the Institute for Governance and Policy Analysis, University of Canberra. Effected by the passage of over 50 pages to the Commons’ standing orders, as the name suggests, EVEL requires that only English MPs may vote on English-only legislation. While only one law has been considered using the new EVEL procedure, there are widespread concerns about the legitimacy of the arrangements given the lack of any mandate or consent from voters prior to the introduction of the changes. Professor Dunleavy was kind enough to answer questions put by audience members, including on: whether nor not the changes might be justiciable; and whether it was time for the UK to develop a written constitution and to codify devolution more thoughtfully. 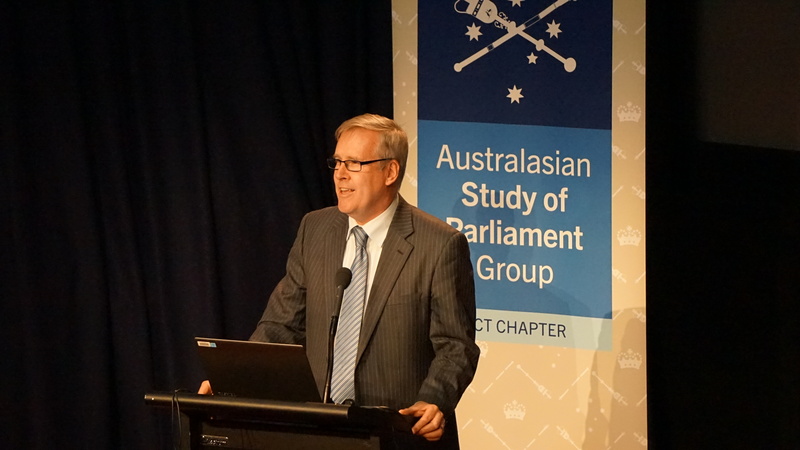 The ACT Chapter would like to thank Professor Dunleavy for generously giving of his time to explore these issues. The UK famously has no codified macro-constitution, but it does have an ever-changing and rather rag-bag set of constitutional rules, scattered about across legislation, conventions and micro-rules implemented in specific contexts. British elites have long tended to rely on micro-fixes to solve long-running constitutional problems, in circumstances where other liberal democracies would use constitutional-change processes (including referenda). The new EVEL (English Votes for English Laws) provisions, forced through by David Cameron’s ruling Conservatives, seeks to solve the long-running “West Lothian” question, whereby Scottish MPs at Westminster can vote on laws only affecting England, but English MPs have no say on Scottish laws made at the Edinburgh Parliament under devolution. EVEL introduces a new “Fourth Reading” stage in Parliamentary consideration of laws only affecting England, where only MPs from England can vote in a final Yes/No decision to enact the law. (There is also an English MPs only committee stage). These changes have been implemented in a very controversial fashion by a single House of Commons vote to change its standing orders – with no real external public consultation, no House of Lords involvement (bypassing its alleged ‘checks and balances’ role), no constitutional debate and referendum, and against the united opposition of all non-Conservative parties. Critics argue that the ‘fix’ chosen will simply secure permanent Conservative rule in England, and is deliberately designed to create huge problems in the event of a future non-Tory government. But will the change attract any lasting support, becoming a quasi-permanent part of the UK constitutional settlement post-devolution? Or can it be just as easily undone by any new non-Tory majority in the Commons? 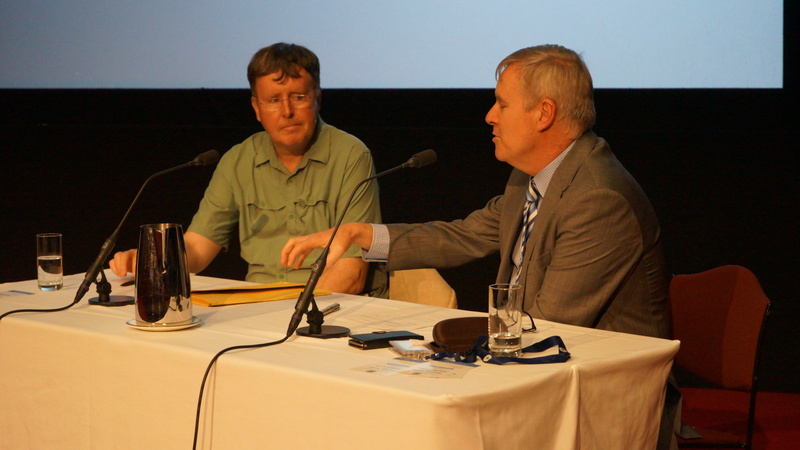 Professor Patrick Dunleavy (Left) and Tom Duncan, Clerk of the Legislative Assembly for the ACT discuss EVEL.